The Center for Schools and Communities Family Support team provides training and technical assistance to Children’s Trust Fund Grantees. 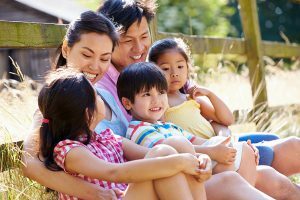 The PA Family Support News Brief is released monthly covering topics including, but not limited to, Parents as Teachers Model Fidelity and Training, Strengthening Families Protective Factors, Prevention of Child Abuse and Childhood Injury Prevention. The Request for Application (RFA #24-18) for the Pennsylvania’s Children’s Trust Fund (CTF) is dedicated to funding community-based programs to address the prevention of child abuse and neglect. The CTF operates under the administration of the Children’s Trust Fund Board and is supported by the Department of Human Services (DHS), Office of Child Development and Early Learning. The Request for Application (RFA #24-18) has been issued on January 16, 2019. Access the RFA here by searching for Solicitation #24-18. A pre-proposal webinar will be held on Monday, February 4, 2019, from 10:00 a.m. to 12:00 p.m. EST to provide an opportunity to ask any questions related to this RFA. It is the only opportunity for applicants to ask questions and discuss the specifics of this RFA and the application package. Attendance at the pre-proposal webinar is optional. The webinar will be coordinated by the Center for Schools and Communities. The deadline for registration is February 4, 2019. Click here to register for the pre-proposal webinar.